Summer is over and the snowy wet weather is approaching. As summer changes into winter it’s time to change your wardrobe to cope with the upcoming hard season. Specifically, when it come to men you need a wardrobe with plenty of warm clothes, overcoats, and few pairs of comfortable boots to spend winter fall in a classy way. Boots are particularly important in that these can totally make or break your entire look. Even though, your are wearing a dazzlingly beautiful outfit with a latest hair cut your look is incomplete without stylish boots. It’s the boot season again!!! boots can go with any type of dress from trousers to suits, it all depends on what type of boots you buy. 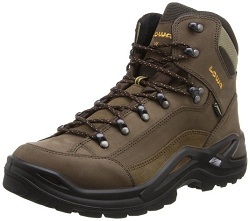 Consider boots as an investment, always buy those boots that are functional in terms of fit, comfort and support. 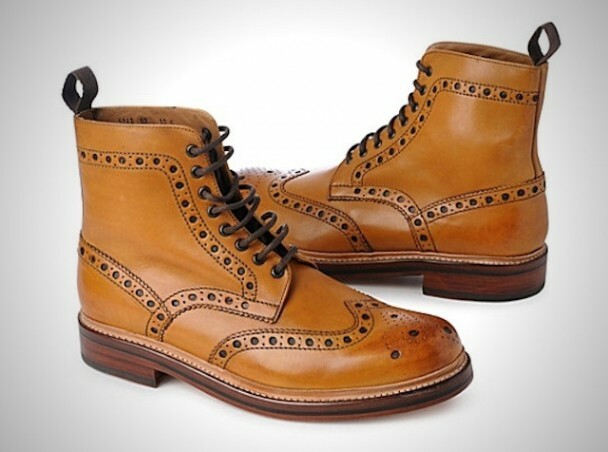 Brogue are perfect dress boots for formal events, business or working people. Brogues are decorated with different details and look so versatile and different designs of brogues are available in market. 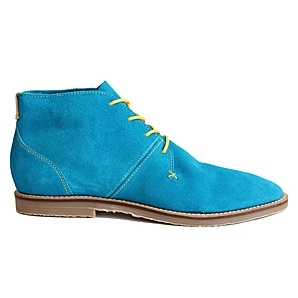 If you wish to make a statement in business/working environment color of boots matters a lot. 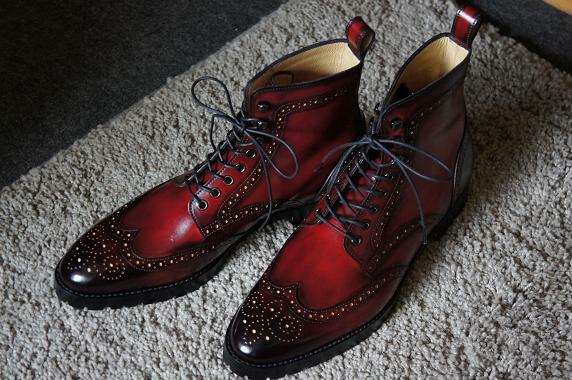 If you really want to stand out go for burgundy or tan brogue boots. 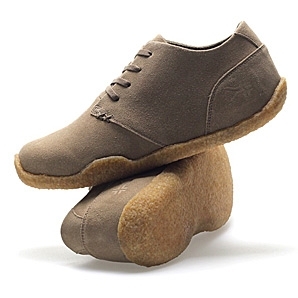 These could be worn with jeans, trousers and dress pants. 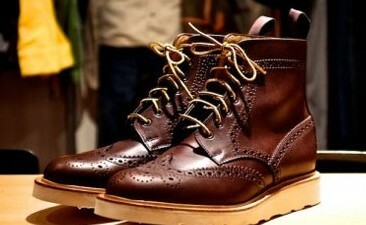 Gucci, Armani, Prada are the brands and hundred of other shoes companies are manufacturing quality brogues for men. 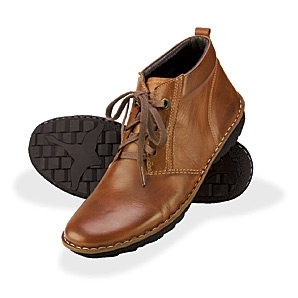 Leather chukka boots are suitable for everyday use and can make your outfit more trendy. 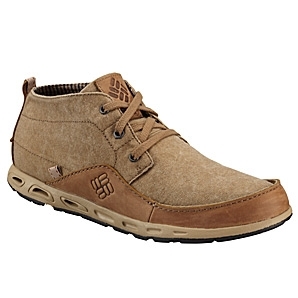 Black or brown chukka boots go best with jeans, trousers for daily use. Other color look classy if you match or contrast these boot with your overall outfit. Clarks’ Desert Boot, Lottusse’s Suede Chukkas, Orvis’ Pikolinos European Chukka, Oliberté’s Adibo Boot, Vivobarefoot’s Porto, Columbia’s Sunvent Chukka, Artola’s Jerry Boot, Kuru’s Aalto Chukka, Merrell’s Realm Chukka, Timberland’s Wodehouse Chukka are some modern chukka boot manufacturers. 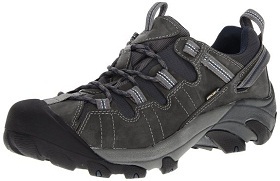 Hiking boots are winter essentials that you can wear to protect your feet and looks great with denim. 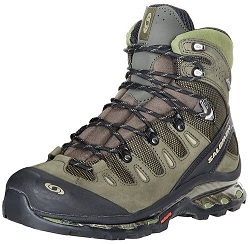 Merrell Men’s Moab Ventilator Multisport Shoe, Salomon Men’s Quest 4D GTX Backpacking boots, Asolo Men’s TPS 520 GV Boot, Timberland Men’s Chocorua Trail Gore-Tex Mid Hiking Boots, Lowa Men’s Renegade GTX Mid Hiking Boot, Keen Men’s Targhee II Hiking Shoe, these are the best men top 6 hiking boots based on users reviews and picks.